We offer 2 options for this service locally in the Phoenix Arizona metropolitan area. You can provide us the necessary images. These images will consist of your business logo, pictures of your management team, employees and products if applicable. We will also need to know your hours of operation and some information about your business. 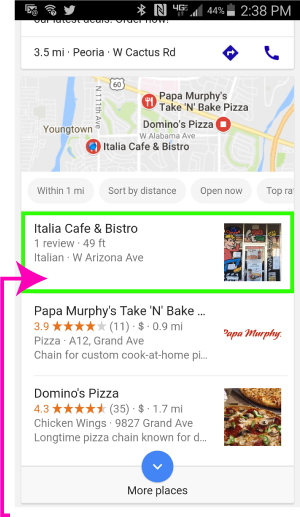 We can find that information out ourselves if you have a website or other business listings or you can provide a unique version for your Google My Business listing. We can accept payment through PayPal or through our merchant account ( MSI Investments LLC ). Our accepted methods of payment are: American Express, Visa, Mastercard and E checks. There is not a better time than right now to increase your exposure and revenue. 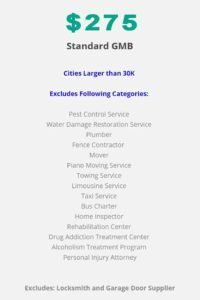 Give us a call today 623-866-9246!